Customers using Trustee: You do not need to take any action if you opted in to use our Trustee service. Existing .BR domain customers: you must update the Service Provider, and transfer ownership on your existing .BR domains to GoDaddy in order to purchase any new .BR domain names and/or manage your .BR domains and websites through us. Enter your CNPJ/CPF ID in the search box. Note: If you don't remember the password or haven't registered, click on esqueci ou nao tenho senha and the registry will send a link associated with the email for the CNPJ / CPF ID to reset your password. 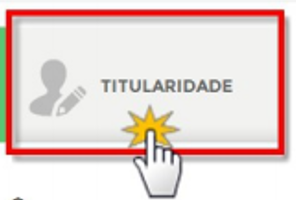 Click the Editar Informacoes link. A drop-down menu will display your current registrar. Change the provider to GoDaddy and click Salvar to save that setting. Click on Concordo to accept the update. You'll now need to assign or associate your CNPJ/CPF ID to GoDaddy on the Registry's website. Once this ID is associated with GoDaddy, all .BR domains under that ID will now have GoDaddy as the whois contact Service Provider. Visit the transfer page for .BR domains and fill out the transfer form. Dominios: Enter the domain or list of domains you want to transfer. Representantes legais do titular: Enter the name of the current domain owner. E-mail ou codigo de usuario (ID) para contato: Enter the email address of the current domain owner. Documento: Enter the CNPJ/CPF ID of the new owner. Print the letter (click on Clicando aqui to print). Make a copy of the CNPJ/CPF ID of the new owner. Send the letter and the copy of the CNPJ/CPF ID to NIC.BR at the address provided on the page. Why do I need to update the Service Provider to be GoDaddy? We now have a direct relationship with the BR Registry, that enables us to offer longer registration terms (up to 10 years), and lower domain renewal fees. Prior to this integration, we were working with an intermediary to register and manage your BR domains. As a result of this, the BR Registry requires that you update the Service Provider associated with your CNPJ/CPF ID to be GoDaddy. This needs to be done only once for you to take benefit of the longer registration terms, and lower domain renewal fees for all your domains. Note: If your domain is renewing within the next two months, or if you need to redeem an expired domain, we suggest you first renew (or redeem) your domain, and then update the Service Provider setting. This will help reduce changes of your domain being impacted due to any delays in communication between the registry and us. Transferring .UK domain. How to update IPS tag? Is Privacy Protection service is available for transferred domains? Can I register domain names if I don't have a hosting provider? Why is my Domain transfer disabled?